We have been informed by the Forestry Commission of an application for a felling licence covering an area of Kinsteary Woods. 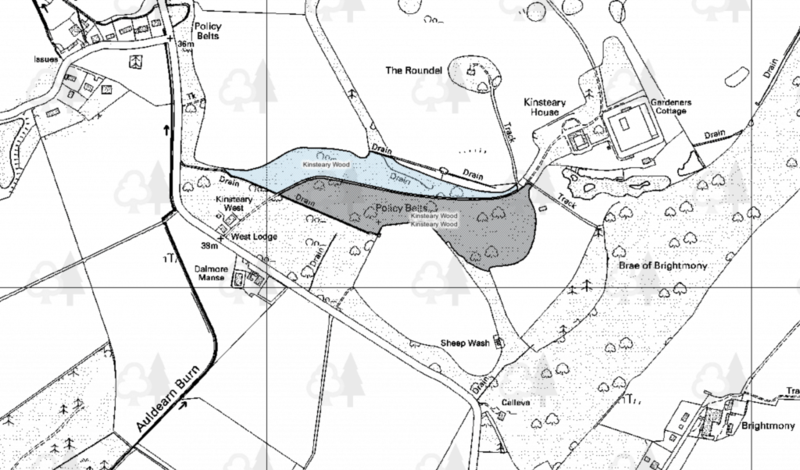 The map below shows the area to be clear felled in grey, and the area to be selectively felled in blue. Both areas shown are be restocked, by either coppiced regrowth, or replanting.